Paul Virilio: Each time a wall is reached, there is a retreat. And history has just struck the wall of worldwide time. With live transmission, local time no longer creates history. Worldwide time does. In other words, real time conquers real space, space-time. We must reflect on this paradoxical situation which places us in a kind of outside-time. Faced as we are with this time accident, an accident with no equal. Images are framed by temporality, they can exist in the past, present or future. Nature marks the passing of time. We reference the sky throughout day and night. 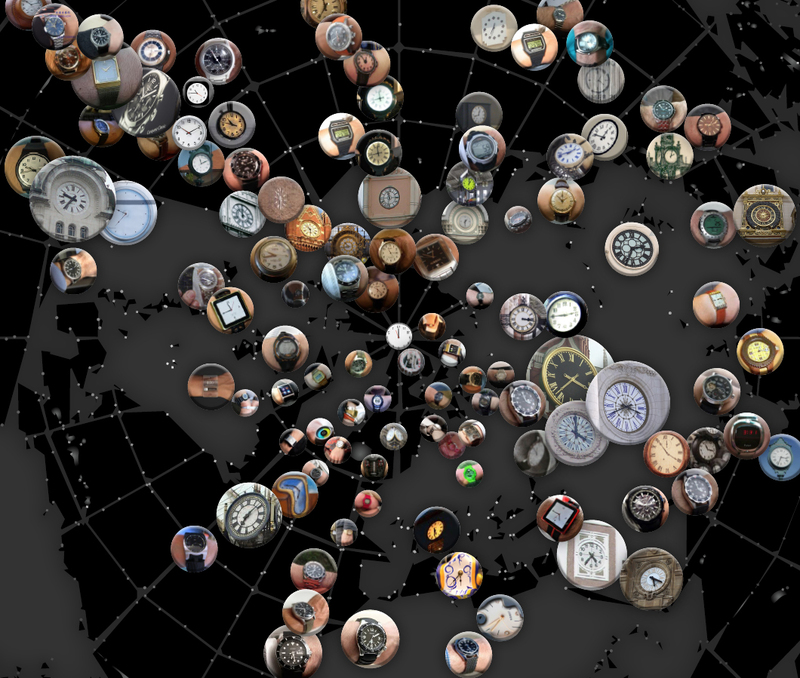 Where the sky is not visible, we place images of time: clocks & watches around us, on walls and interfaces, and on us. Time “radiates” from things, animals and humans, as it does from the International Atomic Time. a way that has not been the case within rational disciplines since the dawn of the modern era. Images do more than mark time, they have their own life cycles with decay, ruins and disappearance. Conversely, images can be autonomic and overcome time by continually renewing themselves. Images inhale in the past and exhale in the present. Paul Virilio: We have moved from the stage of the acceleration of History to that of the acceleration of the Real. This is what ‘the progress’ is: a consensual sacrifice. History is written by images. We live with images as well as they live with us. Remembering an image may be as challenging as forgetting it. They seemingly occupy our minds with ever changing formations and priorities: friends, news, art, etc. We organize them and they organize themselves around the ever changing circumstances of our every day lives.